The forum moderator (?) leocg, apparently, wasn't bothered to -even- move the topic over to this forum (and had, just, locked it - so that I can't even inquire about it), so... I have no idea what I'm supposed to be doing (! ); hope that I'm in the right spot, now. Started a topic called Master Password v2 to try and get an answer to the previously-closed -unresolved- topic, Master Password. 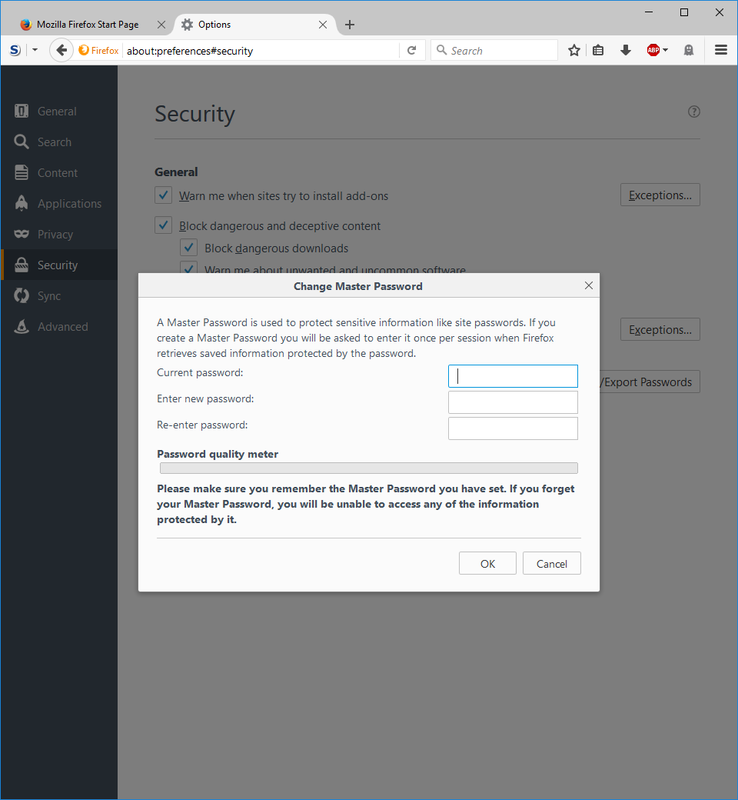 It's the many-times asked (and answered, without presenting a viable solution) question about Opera not having a master password to lock and protect its Password Manager. Are there any secure alternatives (such as an Extension, or something); a solution which doesn't compromise security?.. Mainly because why would we trust a 3rd-party to add browser components which handle our sensitive data (the PWDs). Just to clarify: this is a request for Opera to implement a master password? Or you are just asking for alternative solutions to implement it? I use KeepPass and an extension, didn't tested with the DB locally, it's not a Master Password but they are safe in KeePass. I was going to recomend truecrypt but now I read that it is discontinued, you may take a look here.